Tucked away in southeast Texas is one of the most remarkable enclaves of nature. Known as The Big Thicket, this region is home to ten different ecosystems, including cypress bayous, arid sandylands, palmetto thickets, pine forests, marshes, and grasslands. 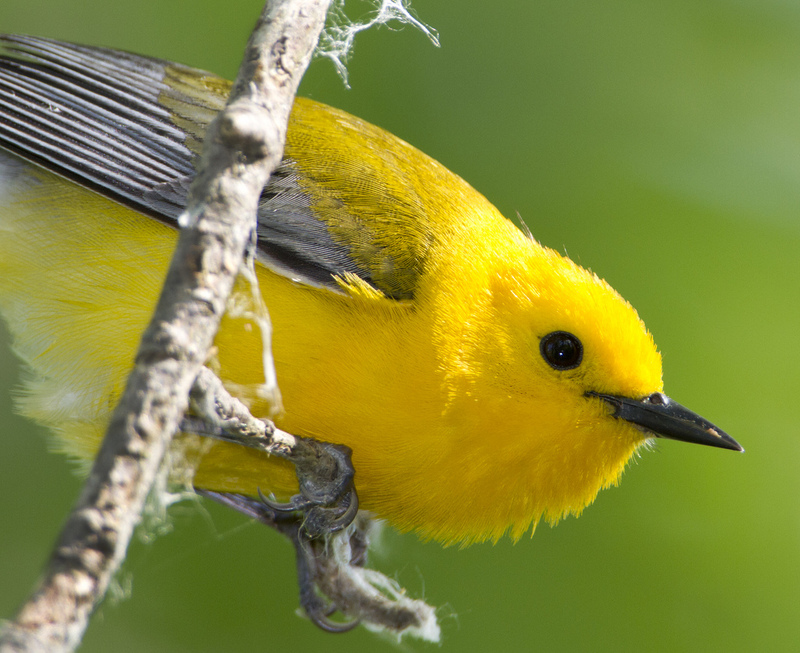 The variety of natural landscapes provides habitat for a broad array of birds, including this Prothonotary Warbler. This show is brought to you by The Bobolink Foundation. The soundscape was recorded by Gordon Hempton and provided courtesy of QuietPlanet.com. Tucked away in Southeast Texas is one of the most remarkable enclaves of nature. Known as The Big Thicket, this natural region is home to ten different ecosystems ranging from cypress bayous and arid sandylands to palmetto thickets, pine forests, marshes, and grasslands. Such a wide variety of natural landscapes provides homes for a broad array of birds and other wildlife. More than 1,300 species of plants – including 30 wild orchids – have been tallied in The Big Thicket. Small wonder the region has been called “America’s Ark.” This spectacular diversity of plants is made possible by the dozens of soil types deposited by the outflow from melting glaciers at the end of the last Ice Age. Since the 1970s, the National Park Service has set aside nearly 100,000 acres (or about 3%) of this biogeographic region. Called the Big Thicket Natural Preserve, a valuable piece of this utterly unique natural world has been conserved. Let’s listen again to “America’s Ark,” as Bullfrogs sing alongside Northern Cardinals and Prothonotary Warblers. Today’s show is brought to you by The Bobolink Foundation. The soundscape featured was recorded by Gordon Hempton and provided courtesy of QuietPlanet.com.